Sure, you can play on your college Quidditch team in real life, or pick out your wand if you make the trip to Universal Studios’ Wizarding World. But experiencing the day to day life of a Hogwarts student has so far been limited to getting lost in the Harry Potter books or movies. That is, of course, until later this month when we can all transform from Muggles into magic-makers with the help of the highly-anticipated Harry Potter: Hogwarts Mystery game. And don’t worry, witches and wizards: Dame Maggie Smith, Professor McGonagall herself, and a handful of other Harry Potter favorites have signed on to enchant us all, so you know this thing is going to be LEGIT. The mobile game, which will be similar to the Pokémon Go app that blew everybody’s minds in 2016, gives players the chance to live out their Harry Potter dreams, from receiving their coveted Hogwarts letter (hopefully they’re not living under the stairs at the time), to getting sorted into their house, to learning spells and taking classes from their favorite Hogwarts professors, to making friends. If you’re looking to position yourself as the fourth bestie in the Harry-Ron-Hermione friendship circle, however, you’re out of luck. According to the game’s site, players will be attending Hogwarts sometime before the action of the books and movies take place (though others, like a young, pink-haired Tonks, do show up). 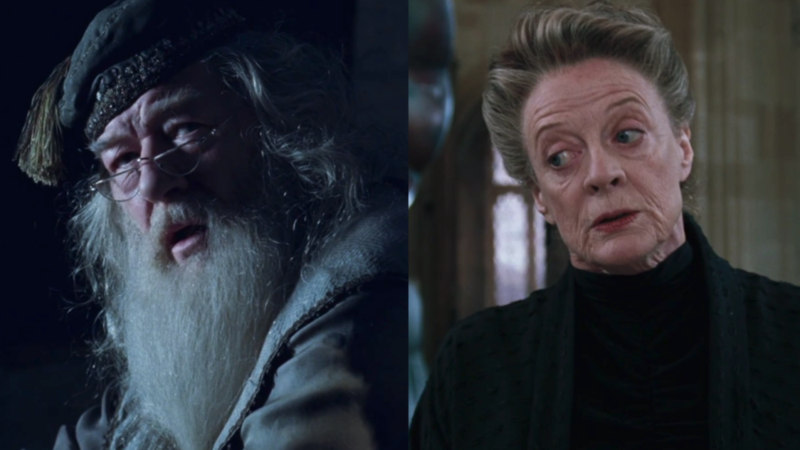 Dame Maggie Smith is far from the only professor extraordinaire voicing her famous movie character in the Harry Potter game. Warwick Davis reprises his role as Professor Flitwick, Zoë Wanamaker as Madam Hooch, and, because he’s a good and generous headmaster and wizard, Michael Gambon as Professor Albus Dumbledore. The game will be the first product from Portkey Games (in partnership with Jam City), which the site describes as “a new label dedicated to creating experiences inspired by the magic and adventures of J.K. Rowling’s Wizarding World.” Meaning there will likely be a lot more where this comes from, and SIGN. US. UP. Harry Potter: Hogwarts Mystery will be officially released on iOS and Android platforms on Wednesday, April 25th, but if anybody knows where we could find a Time-Turner and set it forward a few weeks so we can play this already, we’d really appreciate it. Butterbeers on us.